aparna@brandeis.edu Nonequilibrium statistical mechanics, biophysics. Also see Baskaran Group. Fluid mechanics, covering a wide range of topics including the physics of micron and nanoscale flows, the mechanics of animal locomotion, specifically, mammalian flight, and bacterial motility, the behavior and control of turbulent shear flows and renewable energy technologies. bulbul@brandeis.edu Condensed matter theory, especially systems far from equilibrium; glassy dynamics in supercooled liquids; granular media and the jamming of granular flows; modelling the dynamical instability in microtubules. Also see Chakraborty Group. Research Associate Professor Complex fluids and biological physics; understanding and controling the self-assembly of matter on a colloidal length scale; assembly, phase transitions and dynamics of colloidal systems under nonequilibrium conditions. tsemrick@mail.pse.umass.edu Soft materials chemistry and synthesis, interfacial interactions of nanoscale and polymer materials in liquids and gels, responsive surfaces and interfaces. epstein@brandeis.edu Oscillatory chemical reactions, spatial pattern formation, dynamical systems and neurobiology. gelles@brandeis.edu Macromolecular motion, motor enzymes, visualization of nanometer-scale movements and individual chemical reactions in single enzyme molecules. goode@brandeis.edu Cell mobility, endocytosis, vesicle and organelle transport, and cytokinesis. Study of actin cytoskeleton regulation and functional cooperation of cytoskeletal elements. hagan@brandeis.edu Quantitative biology and Hagan Group. Assembly and dynamic pattern formation in biological and biomimetic systems; computational and theoretical methods; viral capsids and other large protein complexes; rational design of novel materials with biomimetic function. ivanovic@brandeis.edu Fundamental molecular mechanisms of virus translocation across biological membranes: enveloped virus membrane fusion and non-enveloped virus membrane penetration. Single-virion real-time imaging of viral processes, molecular virology, computer simulations. kondev@brandeis.edu Condensed matter theory; biological physics; mechanical properties of polymers; regulation of gene expression and DNA packing in viruses; effect of confinement and constraints on the equilibrium structure and dynamics of fluctuating lines and surfaces. 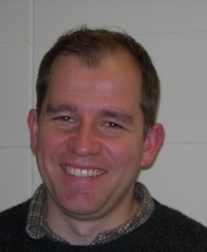 robert_pelcovits@brown.edu Theoretical liquid crystal physics, including large-scale simulations on parallel machines and scientific visual animations. Physics of soft matter, molecular and cellular biomechanics, and nonlinear dynamics. arodal@brandeis.edu Neuronal membrane traffic and synapse morphology. Dissection of multi-protein machines that drive lipid deformation at intracellular compartments. Complex fluids and biological physics; programmable self-assembly of soft materials; colloidal interactions and phase transitions; DNA nanotechnology; self-organization of active matter; optical trapping and single-molecule science. abausch(at)mytum.de Cellular biophysics; identification and physical characterization of new biomimetic materials. mohamed.gharbi@umb.edu Research focuses on the design of devices based on the directed assembly of functional nanomaterials and biomaterials within complex fluids; developing new procedures for making hybrid materials with tunable functionalities; discover new mechanisms to create self-assembled structures that can be used in technological applications. meyer@brandeis.edu Liquid crystals and complex fluids; patterns formed in two-dimensional systems; liquid crystal gels; basic science of these systems and possible practical applications. rudolfo@mbl.edu The study of architectural dynamics in living cells. Development of a new microsope for the analysis of molecular order directly in living cells with unprecedented sensitivity, resolution and speed. Dan Perlman has authored or co-authored over 100 published patents and pending patents since arriving at Brandeis. Evolving from the role of NIH-sponsored basic research scientist, Dan as a University Senior Scientist, moved into applied research. kwu@wpi.edu Self-assembly of DNA and DNA-coated colloids. Self-organization of active matter especially kinesin-driven microtubules. For more details, please see Wu Group.